We bring forth best quality Ultrasonic Probe Sonicator in Mumbai , India for domestic and international customers. Ultrasonic Probe Sonicator, manufactured, supplied and exported by us, can disintegrate most cells, bacteria, spores or tissue. 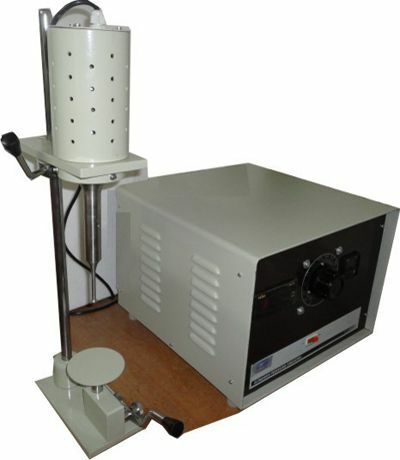 Ultrasonic Probe Sonicator can prepare an emulsion down to 1/100 of a micron homogenize immiscible liquids, accelerate enzymatic and chemical reactions, stimulate bacterial activity, disperse solids in liquids and degas liquids. S.S. Velocity Horn fitted with PZT Crystals (Transducer Elements). The Velocity Horn assembly converts the electrical high frequency energy fed from the Ultrasonic generator to mechanical vibrations at the rate of applied electrical frequency. The amplitude of these mechanical vibrations is magnified by this Velocity Horn. This Velocity Horn is used for the processing application. Frequency 22 + 3 KHz.